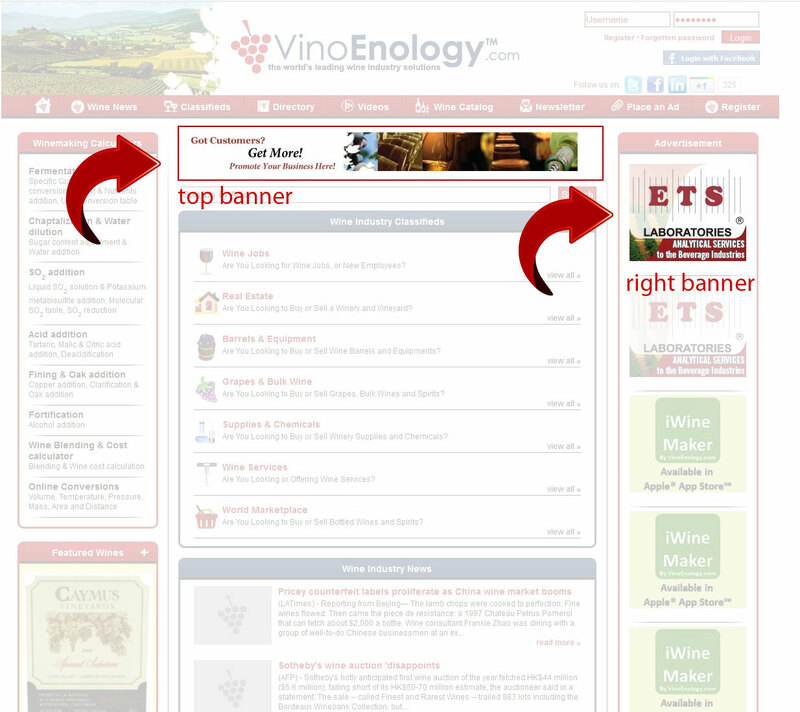 Take advantage of WineryAds.com to reach and target professional wine industry clientele. As an international B2B wine industry e-marketplace, with more than 40,000 monthly visitors to our site from more than 180 countries over the world, we believe that your advertisement on WineryAds.com will highlight your company and products and boost your sales. WHY SHOULD ADVERTISE ON WINERYADS.COM? Our different advertising packages offer you the flexibility to choose the visibility that's right for your business.